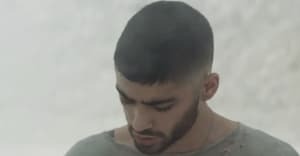 ZAYN released the music video to his latest single "Stand Still," on Monday. Watch the landscape-filled visualizer up above. "Stand Still" appears on ZAYN's sprawling 27-track album Icarus Falls, which was released last December. Thumbnail courtesy of Francesco Nazardo.